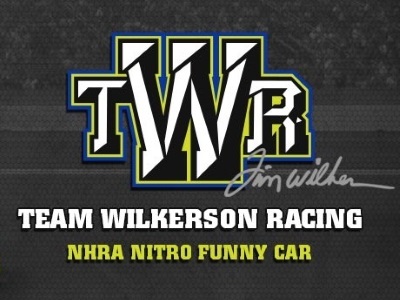 POMONA, Calif. (February 11, 2019) – Tim Wilkerson had his hands full in Pomona at the Lucas Oil NHRA Winternationals presented by ProtectTheHarvest.com. 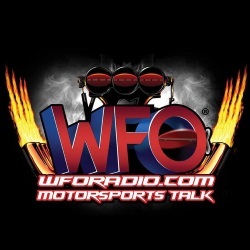 Driving his eye-catching Levi, Ray and Shoup Ford Mustang in the first race of his 20th anniversary season with primary sponsor LRS, Wilkerson and his nitro cohorts had to battle Mother Nature and a challenging racing surface in addition to one another. In a rain-delayed Monday eliminations round, Wilk’s fight came to an abrupt conclusion on a sunshine-bathed racetrack with a very sticky, well-glued surface. The veteran team owner, tuner, and driver of the LRS Mustang launched from the starting line next to Tommy Johnson Jr. and was quicker to the 60-foot timer, but the small advantage quickly evaporated as the tires on his Mustang took umbrage to the power flowing with force from the engine. 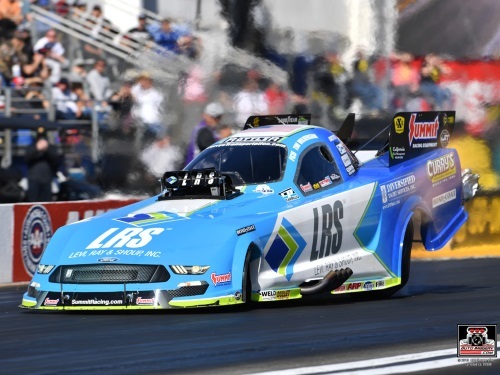 Johnson was fighting the racetrack in his lane as well but was able to recover and managed a winning 4.193, 288.33 to Wilkerson’s 5.822, 121.03. 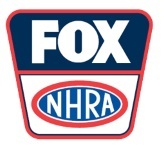 Race 2 of 24 in the 2019 NHRA Mello Yello Drag Racing Series will take place in Phoenix, February 22-24, at Wild Horse Pass Motorsports Park.